Queens Park Rangers came from behind to beat Newcastle United 2-1 at Loftus Road to heap more relegation woe onto John Carver’s side. The Magpies still need Hull City—who lost to Tottenham Hotspur—to beat Manchester United on the final day to face the drop, but they will be wholly disappointed at their capitulation against already-relegated Queens Park Rangers. 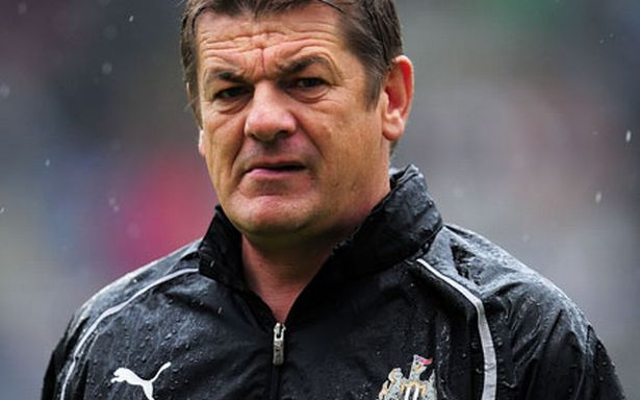 Newcastle headed into this match amidst an atmosphere of tension and unhappiness, with the relationship between supporters and club management, and players and coaches coming under intense scrutiny in recent weeks. They headed into this fixture having ended a recent run of eight-straight defeats with a draw against West Bromwich Albion last week, but were unable to pick up points here. They opened the scoring through Emmanuel Riviere. The French forward has been a flop this season since arriving from AS Monaco in the summer, but demonstrated his class here with a fine first touch and a nice finish. However, despite losing goalkeeper Robert Green to a head injury, QPR fought back admirably. They drew level through Matt Phillips, who headed past Tim Krul from close range after an excellent cross from Charlie Austin. Chris Ramsey’s side completed their comeback shortly afterwards when Leroy Fer, profiting from some careless delivery from Krul, fired home with a spectacular effort from 30 yards. Fer is one of the few Queens Park Rangers players who may be in demand by Premier League sides in the summer, and despite a mixed campaign, he demonstrated his class here with some energetic midfield play and this fine finish. Both sides had chances to score as the second-half wore on, but Newcastle were unable to find the equaliser that would have eased their relegation concerns. As the match ended, QPR supporters stormed onto the pitch to celebrate a rare victory—how long will it be till those fans are back in the top flight? Club owner Tony Fernandes also looked on dispassionately as Loftus Road bade farewell to the Premier League for this season.